Ogun Festival Greetings! Ogun is an orisa that represents supreme focus and dedication. Stay focused! Stay Grounded! Stay Centered! Don’t stop to till you reach the top. You are entitled to experience your greatest Destiny. So approach all things with the Focus like Ogun! You will be successful! Ogun Ye! Obatala is the King of the White Cloth. The white cloth is significant because it represent an energy that’s pure, peaceful, and calm: A peaceful mind is the key to achieving all your goals and dreams, stress is one of the major killers in our community, being calm and at peace reduces your stress and also allows for longer life. Release your stress, wear white and allow the energy of Obatala uplift your life today. Ifa Worship Day Greetings, Ifa teaches us our lives should be centered around teaching and preparing our children to lead our communities to their greatest potential. If their are any issues in our communities teach the children how to solve it. Teach them how to teach other children and teach them to enjoy learning. Empower them to empower our community and we will see great change. Our future is in the hands of our children. Thank you for making our Araba of Osogbo Ifayemi Elebuibon book launching a success! It’s the beauty of our community that makes the memories so sweet. Thank you for support of our African Culture once again! 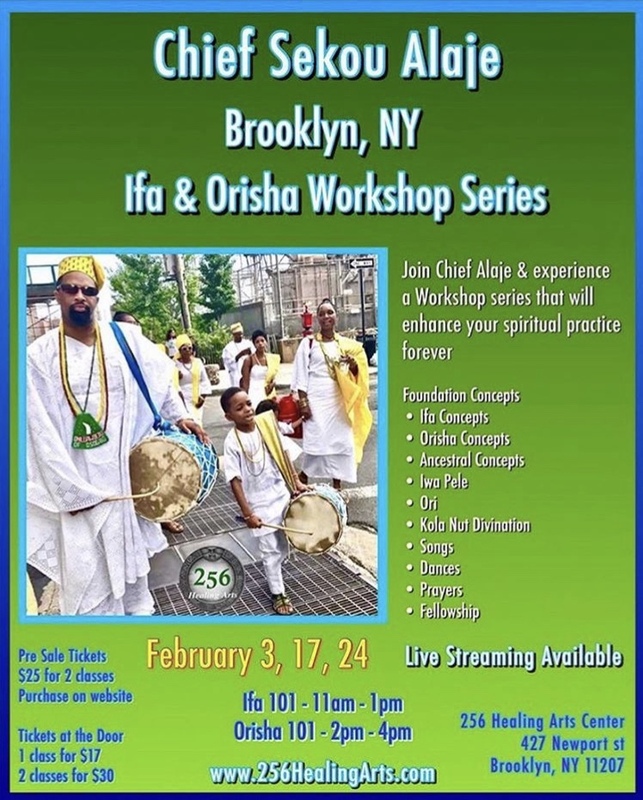 Ifa and Orisa Workshop lead By Chief Sekou Alájé. Held at the 256 Healing Arts Center in Brooklyn, New York. Live Streaming Options Available dm me or e-mail Chief Alájé through the websites. This workshop provides the viewer a practical and hands on educational experience. Honoring Ifa and Orisa with obi, song, and dance. Culminating with an insightful lecture about Ifa and Orisa. 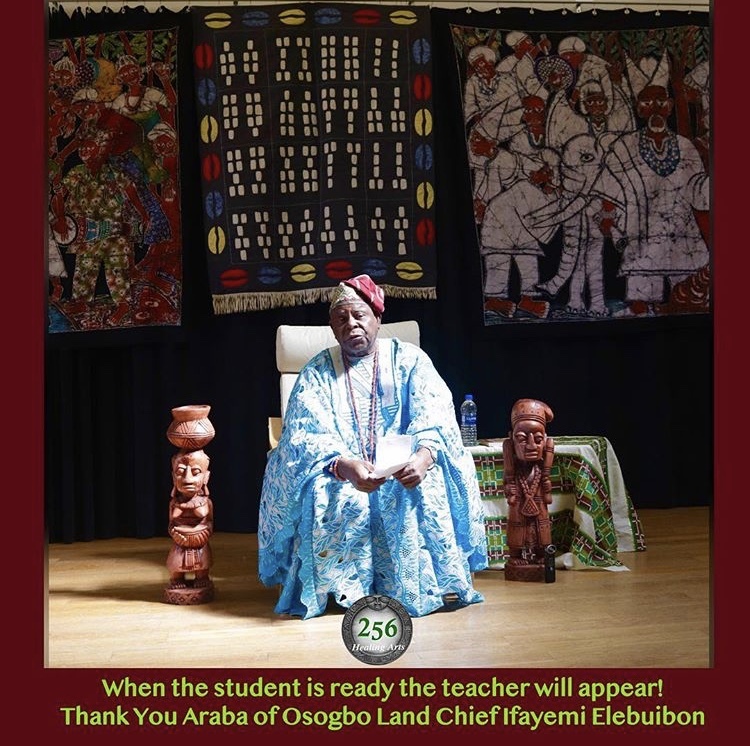 We are very happy to announce Chief Ifayemi Elebuibon , The Araba of Osogbo in Yoruba Land, is coming to the United States during his 2019 World Tour. 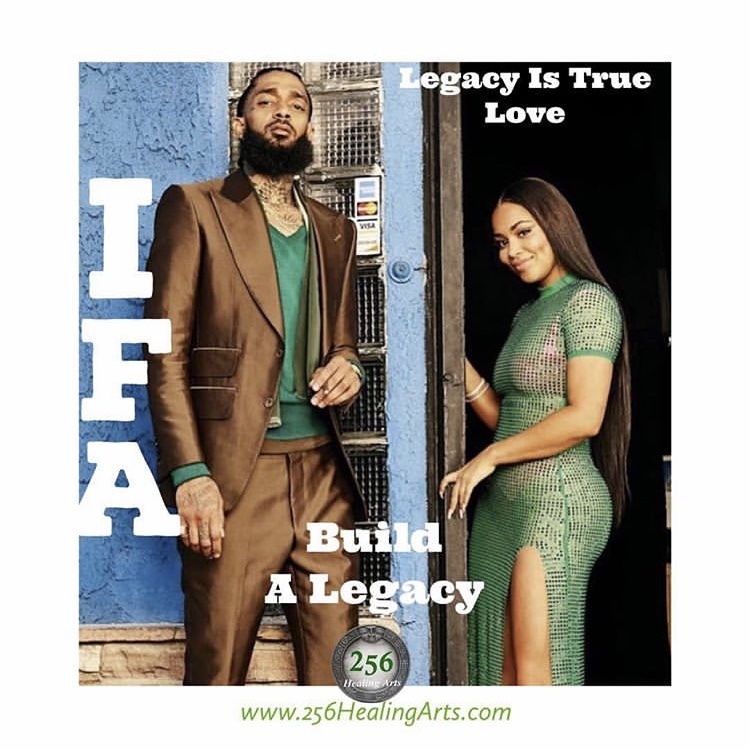 256 Healing Arts is presenting an intimate afternoon with the Chief March 17th 1pm - 4pm at DSPAC 857 Lexington Ave fl 2, Brooklyn, NY 11221. 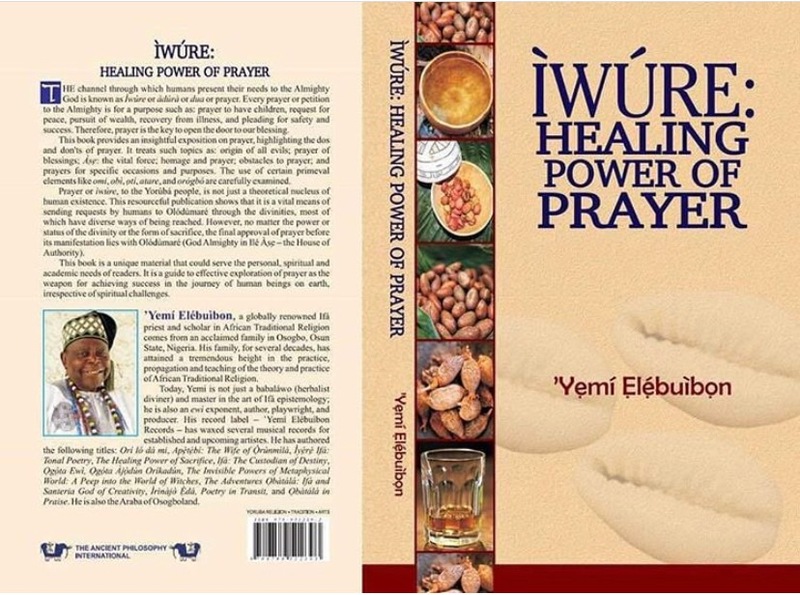 He will be giving a lecture and signing his new book The Healing Power of Prayer. Come and witness a living legend. Chief Ifayemi Elebuibon is the most senior Ifa Priest and Traditionalist in Osogbo in Yorubaland. Chief Ifayemi Elebuibon is also a playwright, a movie producer, and musician as well. He will have his world renowned Movies, Albums, and Books for sale as well. The King of all Babalawo’s in Osogbo Yoruba Land is coming you don’t want to miss this rare opportunity. See you then. Oya Heepa oo, Oya is a very special woman in our Yoruba Culture, She is a Warrior, a Queen, and Mother all wrapped into one. Yoruba culture celebrates our women and their important and divine rolls in our culture. They are the strength of every family, royal in their presence, and nurturing in their love. Oya reminds us that our sacred women fulfill many roles with grace and bless the whole family everyday. We celebrate our queen mothers today. Oya heepa ooo. Ogun Ye! 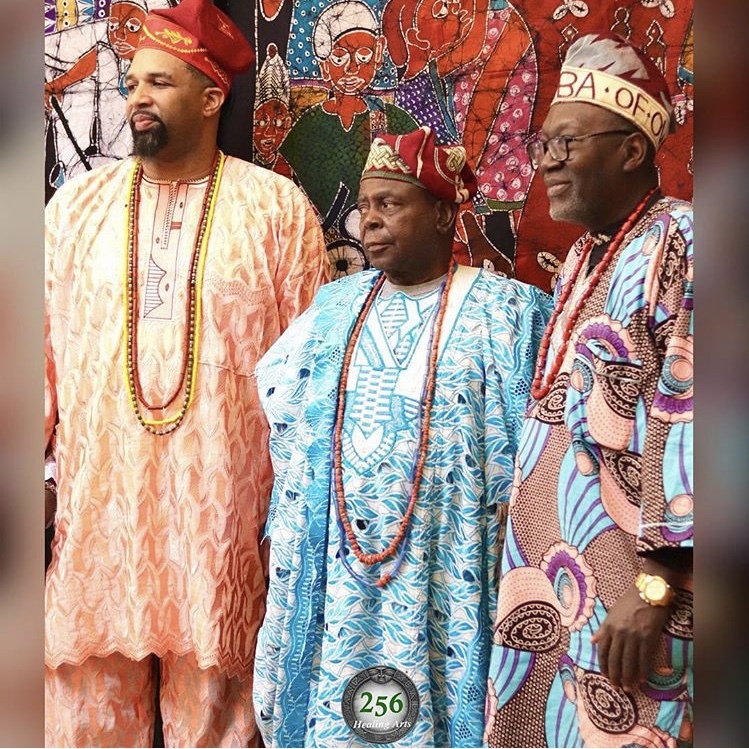 On this Ogun worship day I want us all to be reminded why we work so hard to keep our culture alive; because they always got our back! Orisa Workshop Tour February 2019! 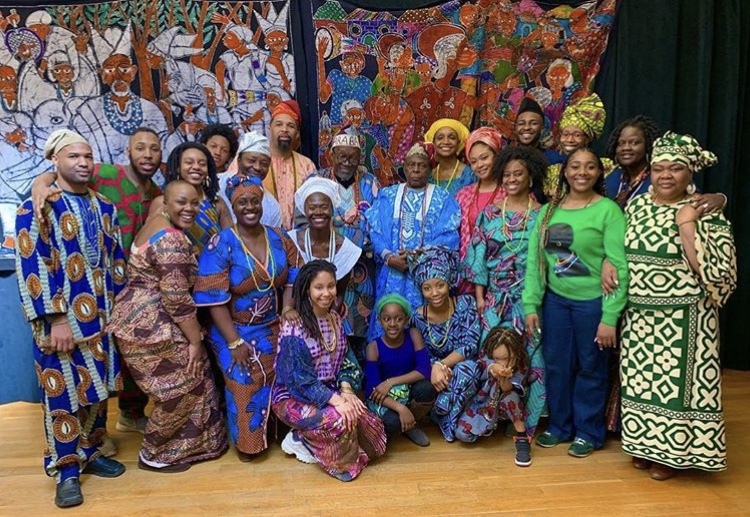 The Orisha Workshop Series was such a great time, seeing and contacting with family and friends was such a blessing. Much love and respect to our Dance instructor Kelly White of @evolve_diaspora_kswhite. You where amazing and Baba T of @bissapveggienola for holding up the music. Thank you to everyone that supported as well through helping to organize and host us in each city. Thank you to the community for coming out and supporting it was great marathon.